A meat thermometer is one of several tools which cooks find quite helpful since it will show you whether or not your meat is done, and if not it will give you a general idea of how done it is so far and how much time you need to allow for the dish to be read. It also makes it a lot easier to have a tasty cut of meat rather than overcooking it, plus it is a safeguard to protect against food poisoning if the meat were not cooked enough. If that is the case, much of the harmful bacteria would not have been killed. To ensure that your thermometer is always reading the right temperature, you will need to know how do you calibrate a thermometer. Knowing how to calibrate a thermometer is the first step to properly cooking your meat. So just what is calibration? It simply means to adjust, check or determine by comparison with a standard the graduations of a quantitative measuring instrument, in this case your meat thermometer. Sometimes, you need to make corrections in your thermometer to keep it reading the temperature correctly at all times. Below, you will find the steps necessary to learn how to calibrate a meat thermometer so you will always know that your thermometer is reading the temperature right and your meat is cooked correctly. This is one of the popular methods used to calibrate a meat thermometer. Fill a glace with ice at the bottom and then with hot or boiling water. Leave it here for a few moments so there is time for the water to chill, but don’t let too much time pass and the ice melt. Now put the thermometer into the glass and let its tip touch the ice. This is an easy way to learn how to calibrate a thermometer. It should register in the range of around 32 degrees Fahrenheit. If this is not the temperature that is recorded, than your thermometer is not accurate. In the case of a digital thermometer you won’t be able to adjust it easily on your own. You may just have to may have to get a new thermometer instead. If the thermometer recorded the right temperature of 32 degrees Fahrenheit, you can sterilize it by washing it in warm water before you use it again with food. You can then use the thermometer to check the temperature of meat which is cooking by ensuring to insert the tip in the thickest part of the fillet, rib or whatever kind of meat you are cooking. This should give you credible and good results after you have calibrated your thermometer with this simple method. You need to repeat the calibration process on a regular basis since it is quite common for thermometers to lose their accuracy. It is a very simple method which only takes a few minutes, and lets you put your mind at rest knowing that your thermometer is accurately recording temperatures when you are cooking meat. Calibrating a meat thermometer is an easy task you can perform yourself to ensure that your meats are always safe to eat and are done to your liking. It can be done by a professional, however it is not really necessary. 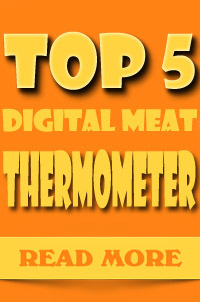 In the case of a digital thermometer, it should be done more frequently since they can’t be easily adjusted.